Brenin Gwalia was born in 1934. He was chestnut with a blaze and four white legs, standing at 14.2hh. His sire was Gwalia Victor and his dam was Cymares. A highlight of his showing career was at the 1947 Royal Welsh Show where he put up a great show and won the male championship. 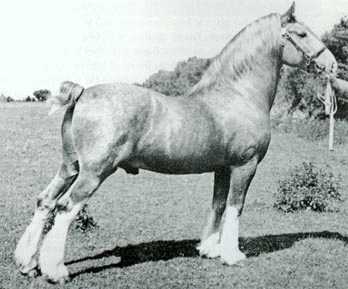 In 1948 he was selected by the Welsh Pony & Cob Society to represent the breed at the International Horse Show, where he proved to be a favourite with the spectators.